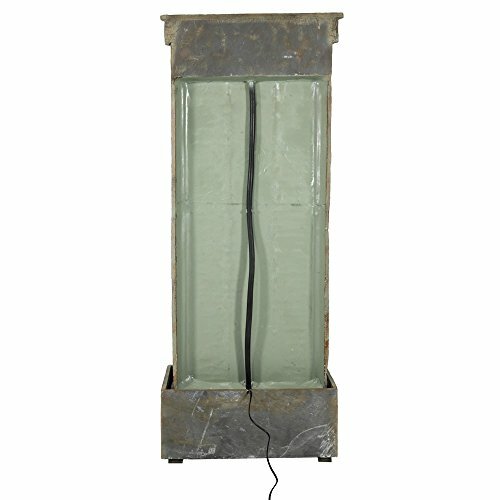 Overall dimensions: 19 inches wide x 10 inches deep x 48 inches tall, weighs 95.4 pounds. 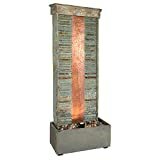 Made from slate material with copper accents so it is functional and beautiful. *Colors may vary slightly from on-screen images. Computer monitor settings and different lighting environments can make product color appear differently. 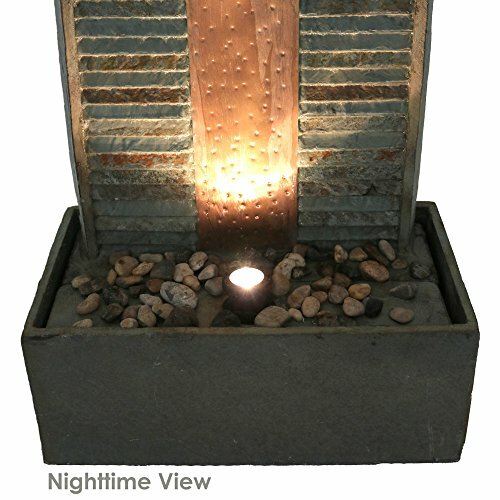 Includes decorative rocks, a submersible electric PP-388 water pump with 0.5 inch hose diameter, and a waterproof 10 watt LED spotlight. 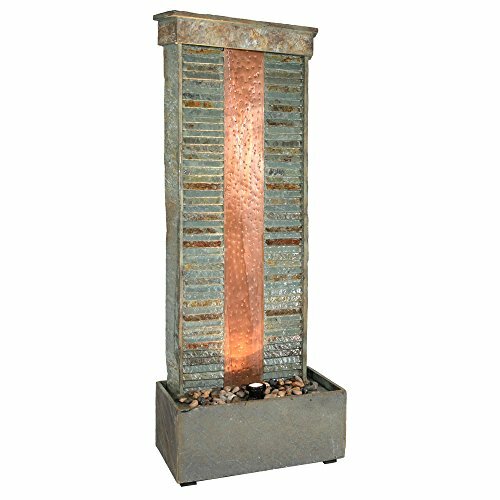 This slate indoor/outside water fountain will add modern zen to any indoor living space, patio, or yard. 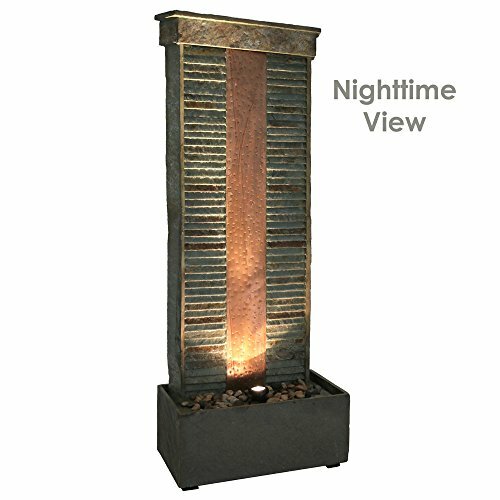 Each fountain features slate construction and has a flat back making it perfect for placement along a foyer, hallway, dining room, or garden wall. 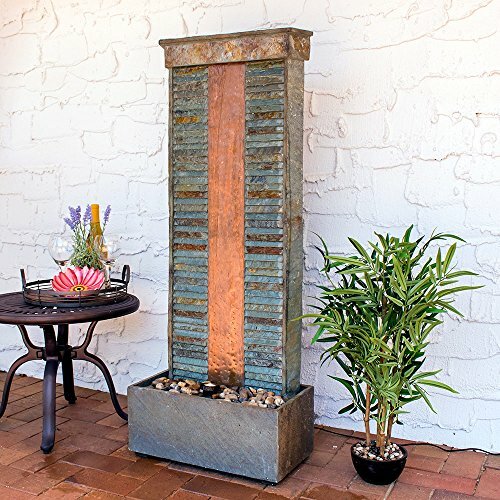 The rippling slate design paired with the copper middle piece makes for a in point of fact stunning design. 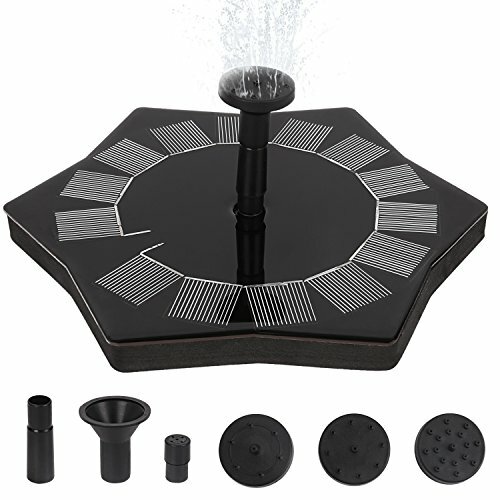 You are going to instantly calm down at the sounds of flowing water from the top of the fountain, down the rippling face and into the basin where it recirculates through a submersible electric pump. 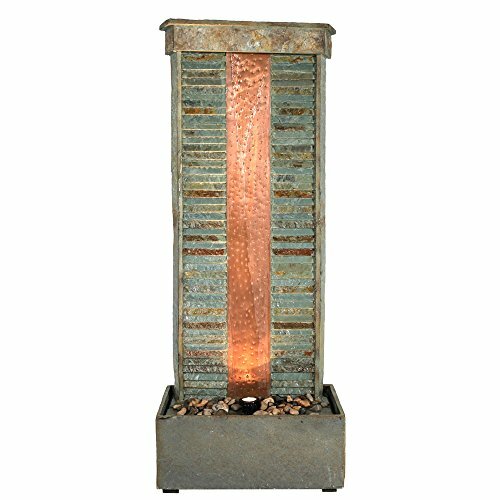 In addition, this feature also includes a spotlight located on the bottom that shines up on the fountain to accent it as though it were a piece of art. 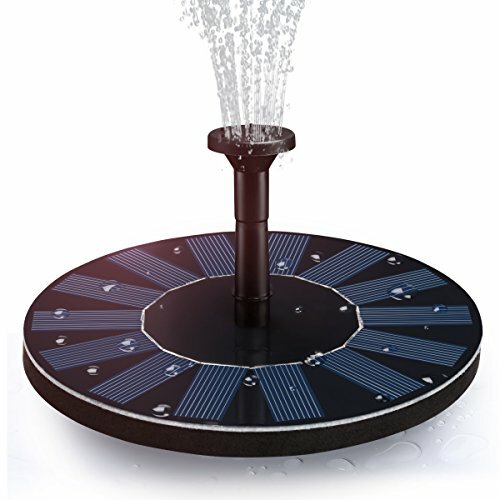 No plumbing is required, after getting it in a position to run all it’s important to do is plug it into a standard outside electrical outlet. 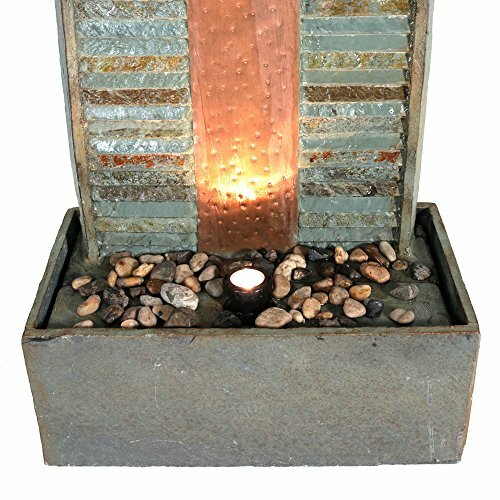 Made from slate material with copper accents so it is functional and beautiful. *Colors may vary quite from on-screen images. 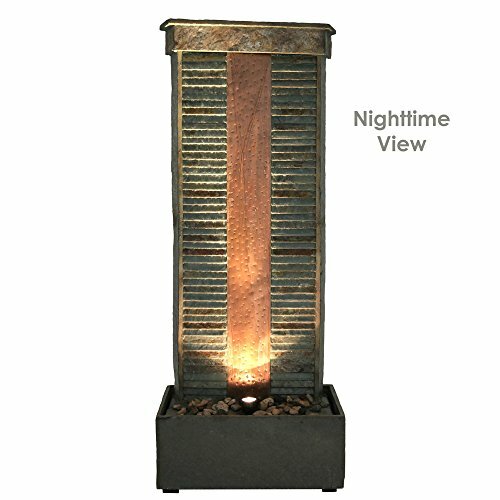 Computer monitor settings and different lighting environments can make product color appear another way. 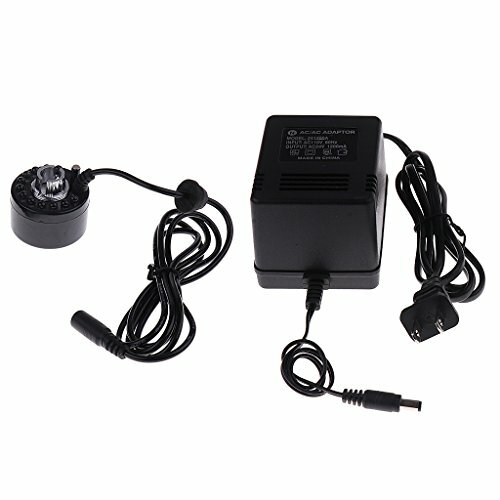 No plumbing is required, all it’s important to do is plug it into a standard electrical outlet when in a position for it to run.